Definetly worlds most sold implant. 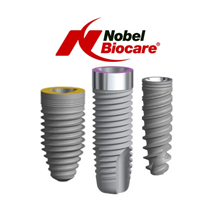 Nobel Biocare with its famous" all on four " technology set standards in implant dentistry.Especially the Nobel Active implant with its fabulous makrostructure and unbeatable initial stability are key factors for this implantsystem. One of the leading implantsystems worldwide. 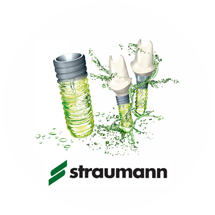 Due to its famous surface, sla active, straumann became one of the most solds implants at all. Swiss precision in combination with highest reliability are one of the keystones of Straumann success. 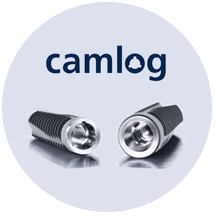 Camlog is one of the most innovative german implant brands, maybe even "the most innovative one" . Highest precision in combination with high-end materials and bright ideas brought camlog to top level in german implantology. Camfour, conelog and screwline are only few of the world of camlogs idea factory! Z-Systems arean innovative brand that offers dental implants of thehighest quality standards. It designs dental implants based on ceramic and special Zirconia. 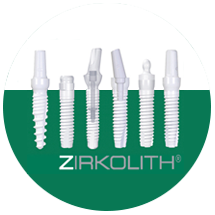 This is a high-tech zirconium oxide bio-ceramic and a unique production process that makes Z-Systems implants an ideal choice for usage in cosmetic dentistry.